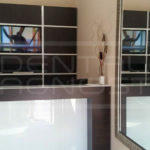 Dental Diagnostic, Dental X-ray cabinet, equipped with the latest digital equipment for dental imaging which allows the diagnosis of superior quality in a few minutes. 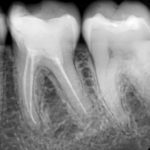 We are able to perform the digital recording of individual teeth as well as digital panoramic x rays in HD and Ultra HD resolution. 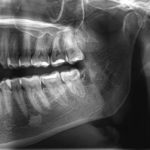 Digital technology allows us to capture teeth with 4-7 less amount of radiation compared to conventional recording methods. 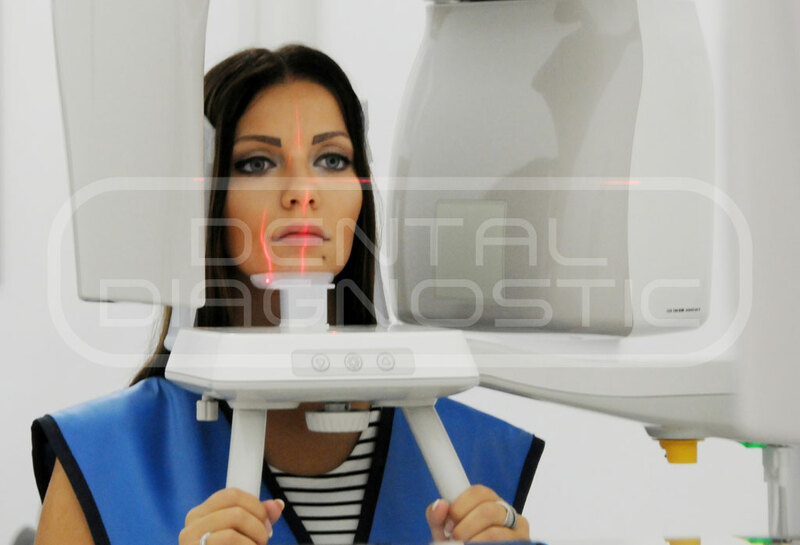 All recordings made in our diagnostic center can be delivered on digital media (CD), printed on special medical foil at high resolution and sent via e-mail to your dentist which enables further processing, easier diagnosis and treatment planning in order to achieve higher and better quality treatment. 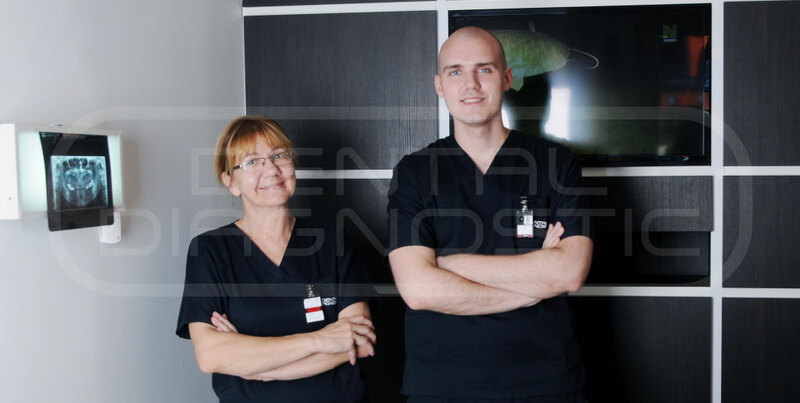 Recording is performed by senior radiological technicians who are additionally trained for this kind of shooting and have a license to work in this field; their work is supervised by dentists trained for the operation and control of sources of ionizing radiation. 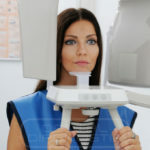 Dental Diagnostic Center has a license to operate issued by the Agency for Protection against Ionizing Radiation and Nuclear Safety of the Republic of Serbia. In addition to high-quality equipment that we use, we set high standards in safety and health of patients. 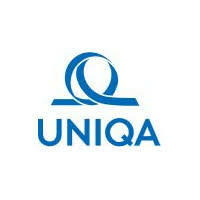 In our center are both patients and staff are fully protected in accordance with the high standards applied in the EU. 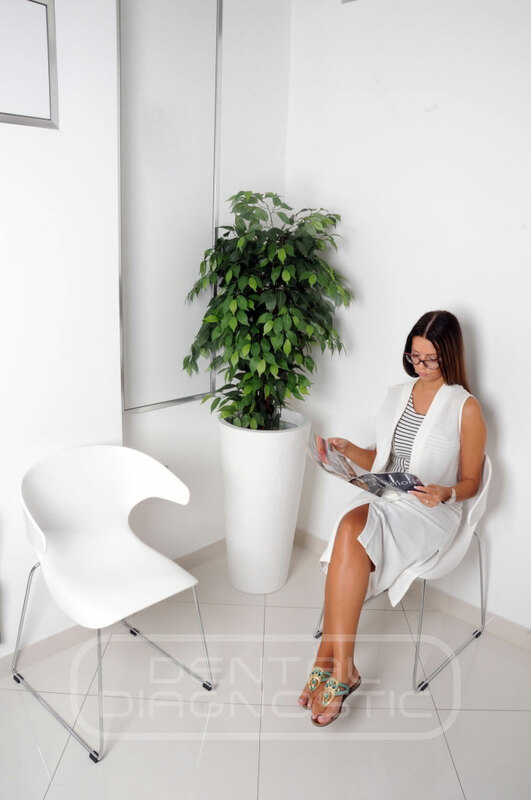 If you contact us , it would be our pleasure to make a short presentation of the services we offer, as well as to visit our center to get to know us and our capabilities. We are open to all kinds of suggestions and proposals in order to improve our results work as well as the quality of diagnosis and later treatment of patients. 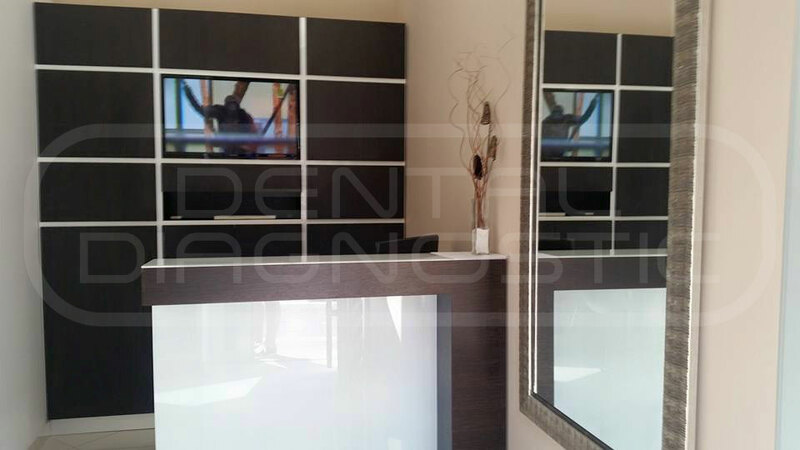 Individual approach to every patient, recording in accordance with the wishes and preferences of the dentist. Images, x-rays are done on the latest generation of digital cameras manufactured in 2015 god. We after the possibility to deliver the foil or CD to patients, but we can also send them to you via e-mail, recorded on the digital media and subsequently delivered to you on a weekly, monthly or otherwise, depending on the wishes and needs . All images are saved in our database and are always readily available. 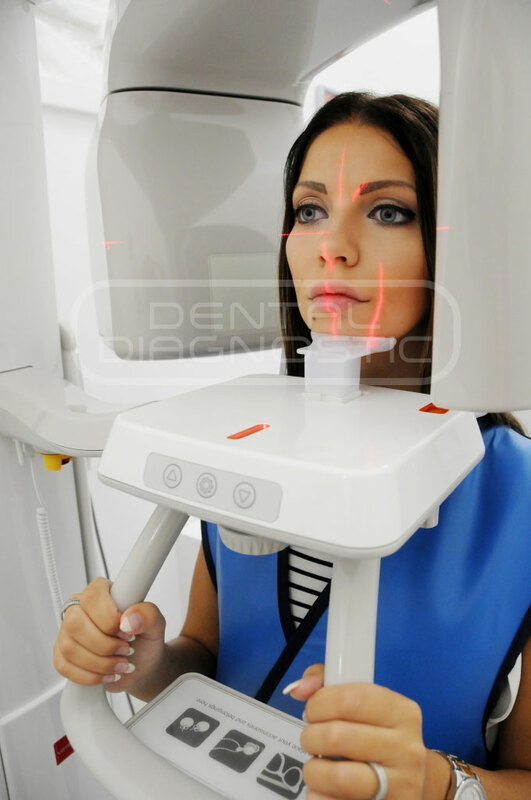 We can also install, in your practice, the program for image processing using a variety of tools for analyzing and processing, so that you can easily reach better and more accurate diagnosis. We appreciate your trust and we try our best to justify it. 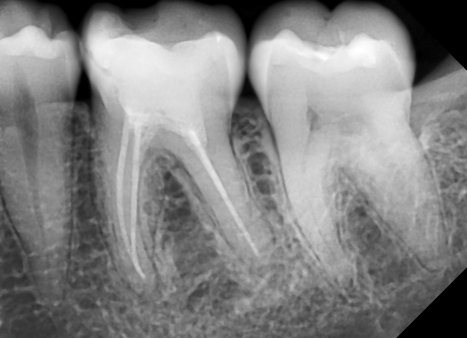 All Dental Diagnostics images are also available on the Internet on computers and smartphones. They are located on our CLOUD SERVER, and you are accessed by entering the user name and password WHEN WHERE AND WHERE (24 hours, 7 days a week). 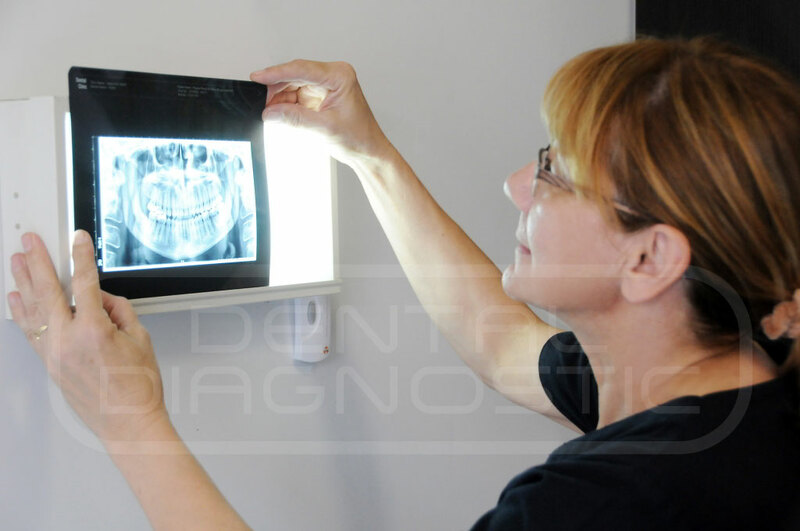 One of the most common methods in dental X-ray diagnostics. 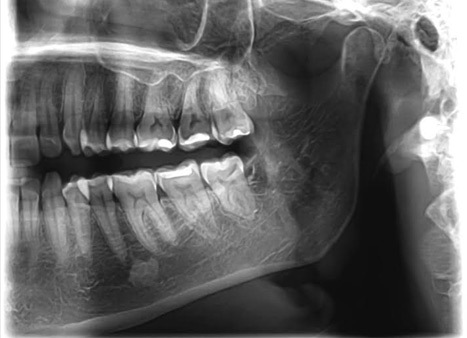 It is panoramic imaging of the teeth, upper and lower jaw, temporomandibular joints and maxillary sinuses. 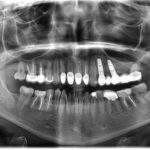 It is used as diagnostic method in all areas of dentistry. With the help of modern equipment, produced in 2015, in our center, we produce high quality imaging in HD and Ultra HD resolution. After printing the image on a special medical foil or recording on digital media or sending over the Internet, the image quality is not diminishing. 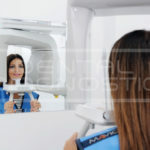 The dentist has the possibility of additional analyses, using special software, without losing the quality, to be able to see the smallest detail which reduces the need for additional x rays. This method is completely safe for patients of all ages and the amount of radiation when recording is minimal (up to 70% less than the analog recording). When x rays are made for kids, we use special programs with reductions of air fields in which the required amount of radiation is up to 60% less than in adult patients. 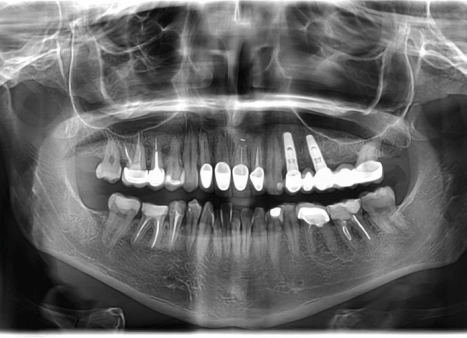 Scanogram or segmented panormic x ray captures segments of the jaw (left, right, front or temporomandibular joints). 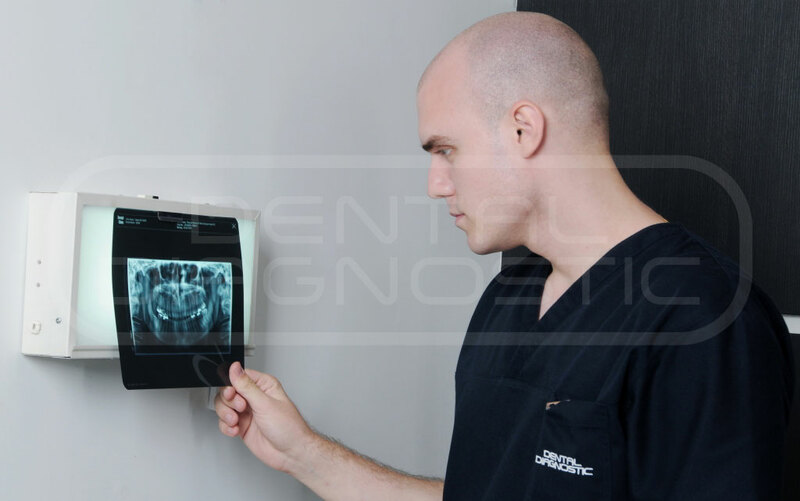 The method is based on using the device for recording digital panoramic x rays. 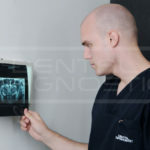 When this kind of recording is necessary radiation is up to 75% less than in the digital panoramic x rays. 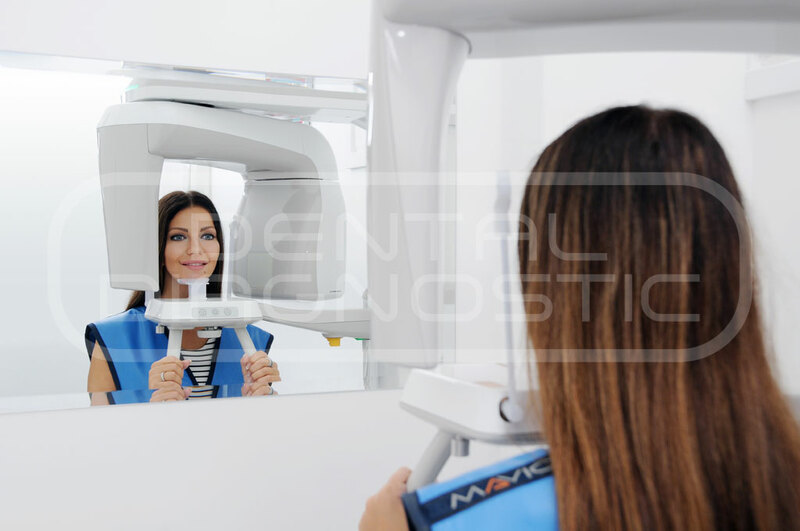 It is used when the dentist does not need insight into all teeth and anatomical structures, it can replace several recording of individual teeth and with high image quality. Images made with this method, as well as all the others in our center can be further analyzed on a computer, printed on the special medical foil and transfer to digital media or sent via e mail.